It all started with Teresa... our mother, Teresa Azario Momo, was born in Bergamo, Italy and our father, Raul Momo Marmonti, in Chile. Our family came to the United States in 1960 and in the mid-1970's, Teresa and Raul opened an Italian specialty food store — the very first Teresa. That's where we both learned about dedication and passion for fresh food and warm service. When not in school, we worked alongside our parents, learning how to cook in the tradition and heritage of our ancestors. Our love of food led us back to our roots, and in 1982 we opened Teresa Pizzetta Caffe, the first restaurant in the Terra Momo group. The passion for great pizza, using traditional techniques, led us to open an artisan bake shop in 1998, the Terra Momo Bread Company. We believe that a great dining experience begins with wonderful bread, therefore the bakery supplies bread and baked goods to all of our restaurants. We have created exciting dining experiences spanning different cultures: Teresa Ristorante, Teresa Caffe, Mediterra, Nova Terra, and the latest, Eno Terra, a wine bar & restaurant. Terra Momo will continue to offer you even more dining experiences in the future with the common theme of earth, food, wine and life. While the flavors and themes of our dining experiences vary — from Italian to Pan Latino to Mediterranean — they all share the Terra Momo vision of quality, creativity and service. You can experience this vision in the colors of our custom-designed interiors, the smell of our artisan bread, the taste of our locally grown produce, the selection of carefully chosen wines (some of which carry our own label) from small, artisanal producers around the world, the sounds of our specially compiled music, and the care of our staff. The cuisine at Terra Momo restaurants utilizes natural flavors and ingredients that speak for themselves, many of which have been grown on small, local, family-run farms. The preparations balance traditional techniques with fresh new trends. And each setting has an individual sense of place, creating a vibrant scene for great memories with your friends and family. Denis and Christine are the team behind the Terra Momo Bread Company. Denis is an accomplished Boulanger while Christine expertly provides hospitality to the guests of the bakery. Denis began his career in France, opening up his own bakery in 1983. Ten years later, he began looking for ways to come to America. “As a child I would play with American people, and I liked the way they interact – they were very good people,” Granarolo said. A mutual friend introduced him to Carlo and Raoul Momo who had been considering opening a bakery. The search for the perfect pizza dough for their restaurant, Teresa Caffe, had naturally led to an interest in artisan bread. This was a perfect opportunity for the Momo brothers to provide fresh, traditionally crafted breads and pizza dough to their restaurants, and for Denis and Christine to realize their dream to move to America. 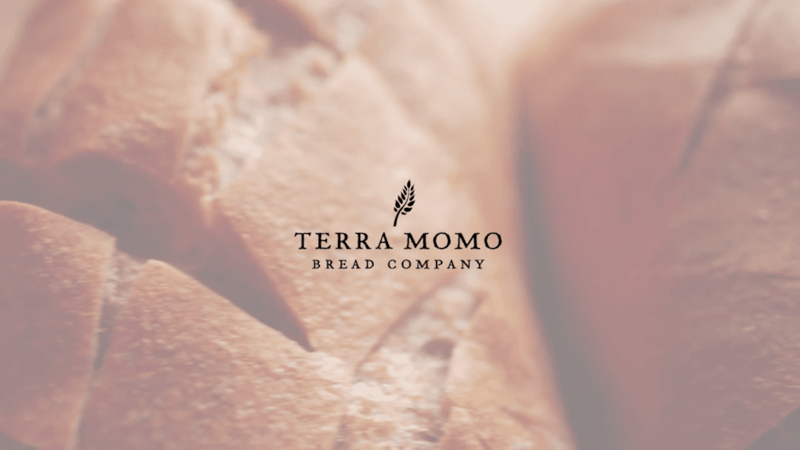 The opening of the Witherspoon Bread Company (later renamed the Terra Momo Bread Company) in 1998 was an exciting addition to the Terra Momo Restaurant Group.